Greatland Grocery & Supply offers a service that paves the way for last-mile delivery of online orders where there are no roads. 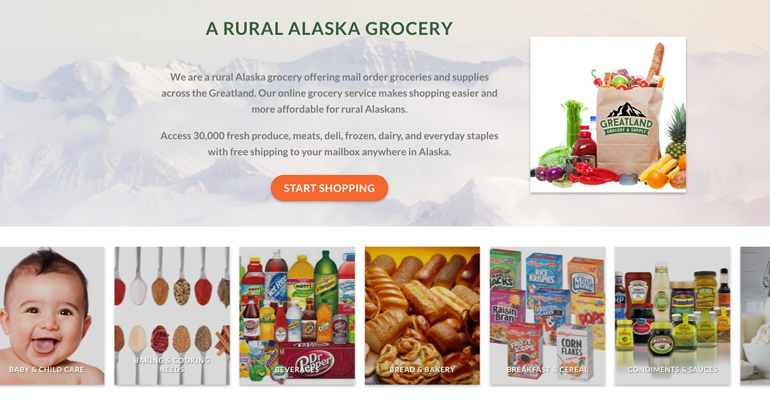 The Anchorage, Alaska-based online grocery retailer, which officially launched in July after a pilot in February, serves rural Alaska, an area with approximately 350,000 people spread across 250 communities. The problem is that stores selling groceries are scarce and small, and these villages lack roads providing easy access to retailers and for making deliveries, said President and Founder Clinton White. Greatland provides an online platform for one-stop ordering and delivery of groceries that eliminates the need for consumers to coordinate ordering and shipping between different parties, White noted. Customers can order from the retailer’s mobile-optimized website, GreatlandGrocery.com, via computer and smart devices. 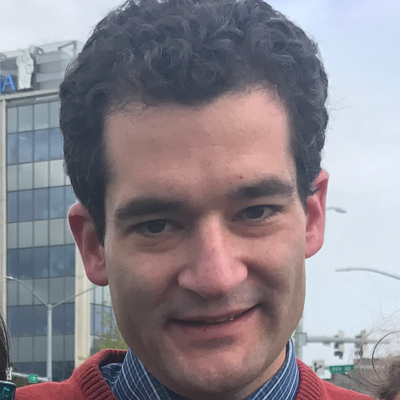 “Our objective is to increase people’s accessibility to food and, hopefully, give them a more affordable option for buying food,” he said. Greatland sells more than 30,000 SKUs of groceries, ranging from fresh produce, meat and frozen items to health and beauty aids, dairy and beverages — which, according to White, includes a perishables offering larger than most major retailers, including Amazon and Walmart. There’s no separate charge for shipping, which is done mainly via the U.S. Postal Service. “USPS is probably the most robust delivery system in the state, serving every community,” White said. People can also choose to ship by Air Freight or Alaska’s By-Pass Mail. Greatland sells more than 30,000 SKUs of groceries on its website, ranging from fresh produce, meat and frozen items to health and beauty aids, dairy and beverages. For By-Pass Mail, a subsidized delivery system, shipments must be 1,000 pounds or more and are carried by a private carrier, yet at a cost less than half of what USPS would charge, White said. Greatland leverages By-Pass Mail for an integrated co-op program that allows consumers in individual communities to buy groceries collectively and cut their food costs by as much as 25%. 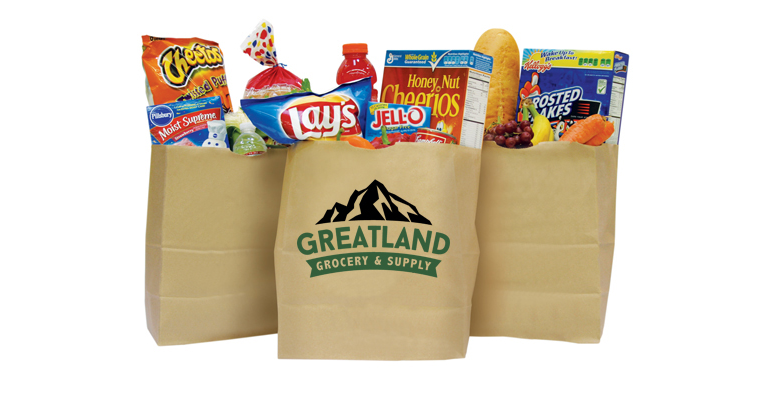 Greatland also offers a rewards program giving 5% cash back on all grocery purchases as well as numerous “food baskets” to help customers save on high-value grocery items. Baskets include small, medium and large grocery baskets, produce baskets, meat baskets, organic produce baskets, baby baskets and healthy/beauty baskets. There’s also a “healthy choices” basket containing better-for-you items. “We put together groups of items that we could discount because we have greater control over the weight and, if we know the weight, we can pack our boxes more efficiently and make sure the total weight is something that USPS would allow to be shipped in one package,” White said. In a first for the state, Greatland in late June launched an integrated online purchase order system for alcohol sales to rural Alaska residents. The system, developed in partnership with Anchorage-based retailer Gold Rush Liquor, is designed to offer improved accuracy and transparency of rural alcohol sales while making it easier and more affordable for consumers in these communities to buy these beverages online. Also around that time, Greatland went live with The Alaska Marketplace, a free rural Alaska message board and classified service. The site, featuring an Etsy-like multivendor e-commerce storefront, offers authentic Alaska Native artwork and made-in-Alaska products from across the region. White added that Greatland’s service has drawn a good customer response because it brings to the table a number of features that address historical challenges in the rural Alaska market. “We’ve experienced a very positive reaction while launching the service and are optimistic about our abilities to have a positive impact in our rural communities,” he said.